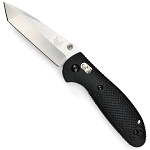 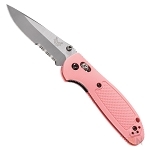 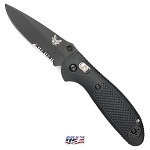 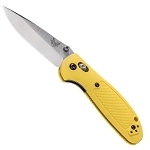 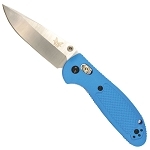 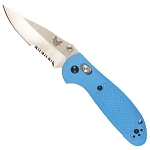 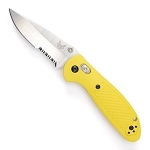 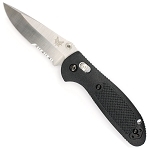 Benchmade Mini-Griptilian Knives are available with optional custom knife engraving. RockyNational uses an industrial fiber laser to ensure the engraving is resistant to fade or wear. Engraved Benchmade knives make great corporate and special occasion gifts. Great for personalized groomsmen gifts, birthday gifts and fathers day gifts.